Dear Aspirants, This page is dedicated to all TNPSC Group 4 2014 candidates to discuss about the exam, answer keys and the expected Group 4 2014 Cut off Marks. Just post your doubts and questions in the comment box and get cleared from the fellow aspirants and our team. This time nearly 12.72 Lakhs of candidates have registered for the TNPSC Group 4 Dec 2014 Exam. Latest News: TNPSC Group 4 Dec 2014-2015 Results Published on 22nd May 2015. Check your Group 4 Marks and share it in the comment box. TNPSC Group 4 December 2014 Results will be published Hopefully within May 2015. TNPSC Group 4 December 2014 Results will be published within May 2015. TNPSC Group 2 Interview Post 2015 Notification with 904 Vacancies will be released Very Soon. We hope that you all remember about the publication of TNPSC Annual planner 2015 recently. From that planner we get a small hint for the date of publication of TNPSC Group 4 2014 exam. 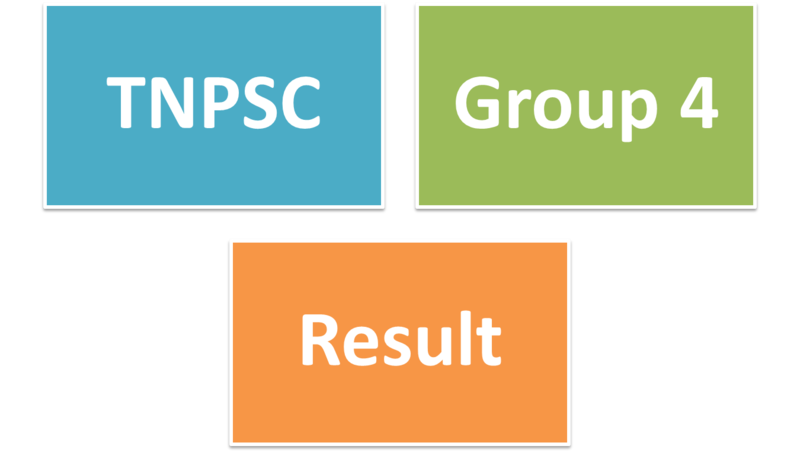 After the publication of the TNPSC Group 4 2014 result the exact link will be updated here. 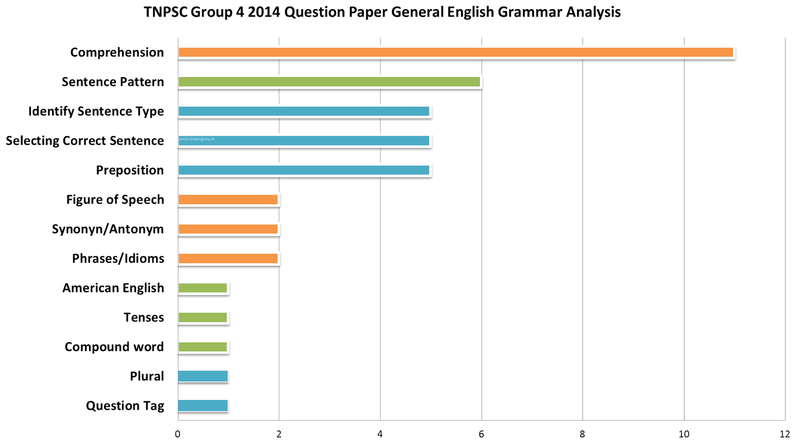 The above Expected Cut off Marks (Number of Questions Correct) is based on 1000 Votes. It will adjusted after getting 2000 votes if necessary. For Typist there will be above 10 questions difference (less than this). It is not an reliable one. Start preparing for the Upcoming TNPSC Group 4 Exam, TNPSC Group 2 exam, TNPSC Group 1 Exam and TNPSC vao exams in 2015. After the TNPSC Group 4 Exam 2014 (21st Dec 2014), a poll will be uploaded here to predict the expected cut off. 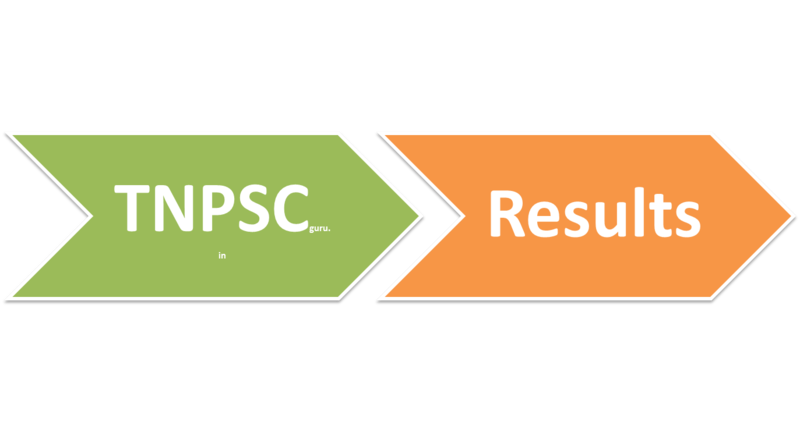 To avoid mistakes to a certain extent and from the feedback of our www.TNPSCGURU.In website visitors, We have planned to activate the Poll Only after the publication of answer keys from some private institutions this time. And also every user can cast only one vote to avoid duplication of values. TNPSC Group 4 2014 Answer Key and Exam Analysis will be updated Here. 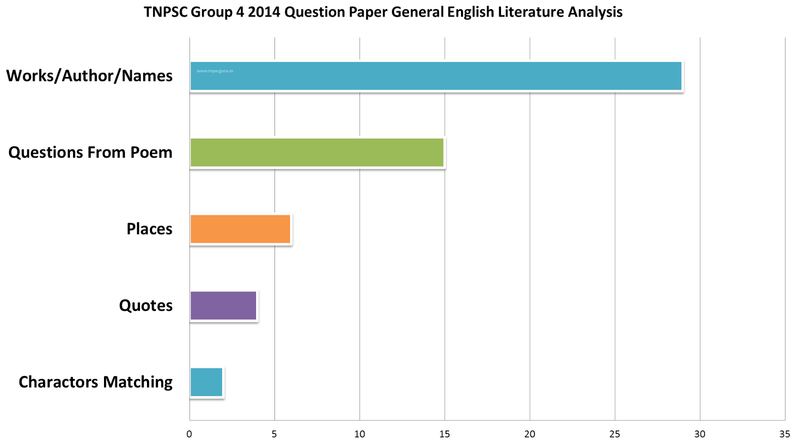 In General Studies, out of 75 questions nearly 10 questions are directly related to current affairs. Those who have downloaded and utilized our TNPSCGURU.in's TNPSC Group 4 Current Score booster 2014, can easily attend those current affairs questions except few. The aptitude questions are very time consuming this time. It should be one of the reason for those who can not able to manage their time. Also the Aptitude section is little tough, only those who practiced well can attempt all those in time. In aptitude 18 above is a good score. This time also the General Tamil is tough when compared with General English. In General Tamil 80+ is a good Score. 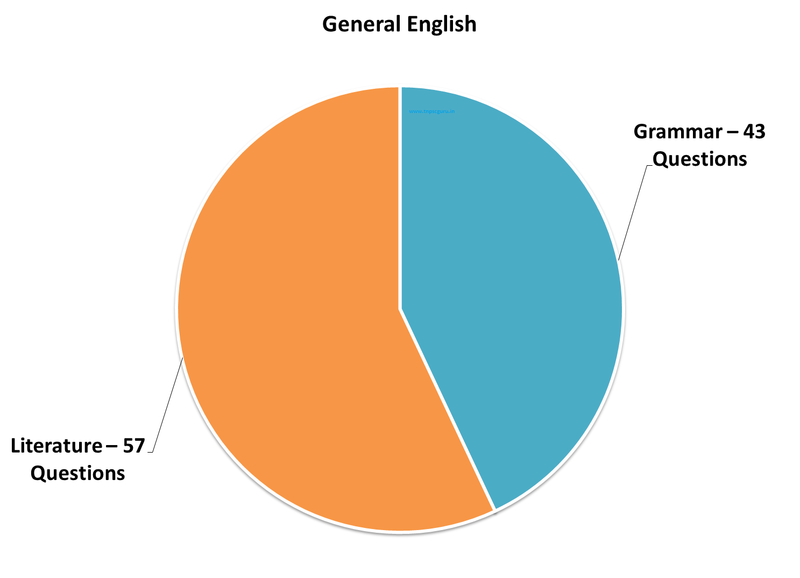 For General English 85+ is a Good Score. So, 150+ can be said to be a Very Good Score. Dear friends, if you found any errors or mistakes in TNPSC Group 4 Tentative Answer Key published by TNPSC, you can request TNPSC to correct it by sending your explanations with proof. Last Date: 30th December 2014. Why TNPSC Exams Results are Getting Delayed Especially Group 4 Results? The Last TNPSC Group 4 Exam [August 25, 2013] was published on March 4, 2014. The gap between the exam date and the result date is nearly 190 days [Over 6 Months]. The result of TNPSC group 4 Exam which was conducted on December 22, 2014 is yet to be published. As on today [16th May 2014], over 145 days has crossed. When compared to the number of candidates appearing for other TNPSC Exams like group 2 (Approximately 4-5 lakh candidates), Group1 (Approximately 1-1.5 lakh candidates and VAO exam (Approximately 6-8 lakh candidates) the number of candidates appearing for TNPSC Group 4 Exam is (Approximately 10-14 lakh candidates) is very high. Even this time for TNPSC Group 4 Dec 22, 2014 exam, Nearly 12.72 lakhs candidates registered for the Exam. Some candidates knowingly/unknowingly provide wrong data in their online application. As TNPSC strictly follows the reservation rules in the whole recruitment process, even if any one of the data like Community, PSTM, Date of Birth, Higher educational qualification is given falsely by the candidate then TNPSC has to rework the entire Ranks, it automatically lead to the delay. So,Candidates should check their entire application thoroughly before submitting it online. Also like the TNUSRB Online application, TNPSC may also introduce uploading of scanned document during the Online applications in the near Future. We wish you all the Best for your results. Also prepare for the Upcoming TNPSC Exams 2015-2016. Dear Lee anish sir, when will tnpsc publish last year 2013 grp4 5th phase counseling(joined resigned and non joining) vacancy. If u have any information plz reply sir. how you did your group 4 Exam Guys...??? I fell like Its easy with little moderate. but it will be easy for well prepared guys. And i scored approc 135. Mbc, Any chance ?? have you checked any answer key??? Please quote your roll number anywhere with you safely... Or at least write it in the question paper itself.. Private institutions TNPSC group 4 Answer Key published... check it..
Keys only for GT links.Not updated for GE and GK? What will the upcoming exam. Any idea? In gp 4 exam how they will calculate the marks out of 300.b'se we are attending for 200 mks.so its confusing how to share the subjects.so that to score marks.pls guide. Each question carries 1.5 marks.so 300.
sir, time management yepdipanrathu, any tips tell me. how many competitive exams you attended till now/upto this g4?? intha group4 exam serthu 4.
did you attend any bank exam till now?? one exam atten panirken sir, but without preparation. Sir.. I got 145 correct.. MBC/Female.. Plz tel,is ther any chance..? anish sir 100% sure chance kku evaalavu questions corrct aga irukkanum? 150 above means very sure..
i bc female. gk 82 ques. gt 83 ques. any chance? Sir, my score was 161/200, BC. I have a doubt. My friend told me that, next group 2 exam is a single exam (it includes interview and non interview post). Is it true. Please clarify. Very low chance for combining both the exams..
sir i got 145 question bc female .any chances??? Sir I am BC ( male ) pstm i got( gt- 86 , gk - 72) #158 . any chance for posting? Is there any little Chance Sir ...,,,,,???? now in tnpsc group 4 also i got around 171+ questions / if you have prepared well it will be an cake walk for you . sir,i am 150 questions correct in tnpsc group4 conducted yesterday.i belong to general category.is there any chance?pls reply me. hello sir,am jeeva.i got 148 questions correct in group 4.i m belongs to bc(female).is there any chance for getting job? surely wil try to answer all the questions..
k thank u sir...vill wait and see. sir i got 140/200 SC, male, pstm ,,,,, is there any chance???? in group 2 A counselling what about pstm quota? sir,I got 150 ques correct in tnpsc group4.I belong to general category.Is there any chance pls reply me. I got 144/200 in VAO Bc female . My community rank -1930.Overall rank-3820.Is there any chance to get job. I got 158/200 in group IV(NR IAS Academy answer key). Any chances to get the post.?? sir i got 110/200 in group 4 belongs to BC. is ther any chance to get the post? hi lee sir i got 156/200 based by the nri ias academy answer key...i am bc male...i have completed pg...is there any chances to get a job? Sir i got 130 questions correct in group 4 . I am OC category Female . Is there any chance to get group 4. Any Chance Group II - A??? When start VAO Counselling??? hello lee i am kamaraj i got group 4 155/200 , bc -pstm any chasnce, hou much bc cutoff? Sebastian vettel formula one motor car race thana sir, antha question ku yepdi sir mark vangurathu from tnpsc. hi sir as per official key i got 135/200 sc male,,, is there any chance????? I'm Ramesh BC male completed PG scored 144 as per official key having PSTM too, there's any chance for me??????????? Dear Anish , I am BC male pstm.I scored( gt-86, gs-75)161 in group-4. Could I get posting?, I already got Vao 150, I am expecting for counseling. If you get VAO posting, wil u attend group 4 counselling??? Thank u Amish for ur reply. BC male with PSTM ...any chance for selection ..?? Sir, what is the overall cut off for Group-4 ? sir,tnspc group 4 counselling is bsaed on communal rank or overall rank? sir typist cutoff for female bc? I am MBC/DNC . My got GT Question-83 , GK-70 question. Have a chances in I Phases? anish sir overall rank 100 kkul varavendum entraal evvalavu questions edukka vendum? Sir, I have score 102/200 and I belong to General - Physically handicapped with more than 40% disability. Female and completed MBA (HR). Any chance of getting thro ? Kindly reply Sir. I am MBC/ DNC, i got group 4 153 Question. Have a chances? Sir, how to download group 2a counselling call letter. the link is not updated yet i think..
Hi lee sir,in group2a exam 148(GE-85,GT-63)OC Female Overall rank 2676 Communal rank 56.Engineering degree holder.Now in group4 exam 150(85+65). will i have any chance?Thanks. anish sir.wrong question kku tnpsc kku claim seyya proof school text book aka irukka venduma?proof entha matiri irukka vendum? it is not compulsory that the proof should be from txtbook... you can also send website links(eg: newspaper websites, some official websites, etc,...) to tnpsc as a source..
sir, I got 168 out of 200. I belong to mbc(da-ortho) male with UG degree. is there any chance for junior assistant post in group 4 services? please reply as soon as possible. hello sir, i am sc female, i scored 169/200 in group4,2014 as per tnpsc answer key. what about my chance? hi lee i got 153/200 questions correct under mbc. shall i eligible for the first phase!!!! sir what about dec 25, 1.15 pm comment? Hi Lee , this is my 3 rd msg to you...Why you are not replying to me ? I am female with MBA - Physically handicapped with above 60% disability. I am in general cateragory. I got 102 correct in Group 4. Kindly inform whether there is any chance of getting job in handicapped quota. lee sir im nathiya newly for this site, 160 questions correct upto 200 BC Female can i get sir? How did you say like this , i have seen many persons who were handicapped and they got job for 80questions correct. Mr. Anish! first of all thank your very much for your service. I am a 36-year-old BC male with 225 marks and overall rank and communal rank of 1799 and 1011 respectively in Group 2A and has been called for CV and counseling on 12th and 13th Jan. I have a few doubts and would like you to clarify those. 1. Does being called for the CV and Counseling means I surely have a 2A posting (OCG+BCG together only 800+ posts)? 2. What if a certain position/location I like has been and offered to some Mr.X and I am offered a different position/location and he has not joined in the stipulated time, would I be given a consideration for that posting or will it get filled by the subsequent phases of counseling? 3. Is there a chance for me to wait for subsequent phases if am not satisfied with the position i am offered in phase I? 4. What would be the time limit to report to duty after the counseling if offered a posting? Hope you to clarify these doubts at the earliest. 3. It is not advisable to do so. 4. It will be given in the call letter. Thank you very much for your reply, I would like to know the reservation procedure because the "almost" still worries me:). Hello Sir, I am raja. gr 4 exam 146 questions correct. I am bc caste. if any chance to job. Sir I write more exam so I am very feeling. So Please tell me answer sir. anish sir. my vao communal rank 1147 bc male 10 th pstm.first phase il kidaikkuma?please help me sir. sir,can i know your mark in VAO exam? Hi Lee Sir,... I seriously tried from last 2013 grp 4, grp 2, grup 2a, vao but i cld not secure upto the level...i fed up really...coz many junior to me got job and settled well...At last this grp 4 i got 160....of course everyone asked, any chance fr me?? ?....even now my aim is to get degree level posting, coz i did PG...please advice how to grasp the degree level job. i am got VAO -222 marks-, CR-851, OR-2522. Have a chances. Please tell me sir. for get group 4 post i am eagerly waiting for ur reply. anish sir . my vao communal rank 1147.bc male.10 th pstm.iam diploma holder only.group 2,group 1.elutha mudiyathu sir. i am very confused .vao veali kidaikkuma sir? sir OR-2700 CR-1486 in group 2A there is possible to get the job surely.